Black Swan Books, Limited, 9780552775021, 429pp. An engrossing Danish literary thriller of intrigue, conspiracy, and the extraordinary power of reading Imagine that some people have the power to affect your thoughts and feelings through reading--to seduce you with amazing stories, conjure up vividly imagined worlds, and manipulate you into thinking exactly what they want you to. When Luca Campelli dies a sudden and violent death, his son Jon inherits his second-hand bookshop, Libri di Luca, in Copenhagen. Jon had not seen his father for 20 years--since the mysterious death of his mother. After Luca's death is followed by an arson attempt on the shop, Jon is forced to explore his family's past. Unbeknownst to him, the bookshop has for years been hiding a remarkable secret. It is the meeting place of a society of booklovers and readers who have maintained a tradition of immense power passed down from the days of the great library of ancient Alexandria. Now someone is trying to destroy them, and Jon finds he must fight to save himself and his new friends. 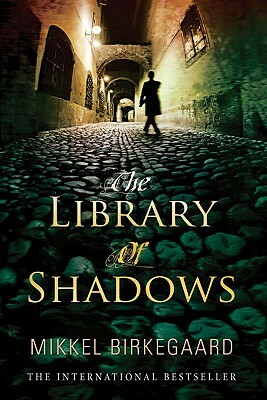 Mikkel Birkegaard's first novel "The Library of Shadows" was a national bestseller in his native Denmark, and has now been published in 17 languages. "A thrilling and dangerous literary conspiracy novel."